Ever wonder why hotels can’t accommodate your group’s Tuesday arrival? How about why they can’t offer their main ballroom for smaller group size? What does ‘stay-through pattern’ mean? 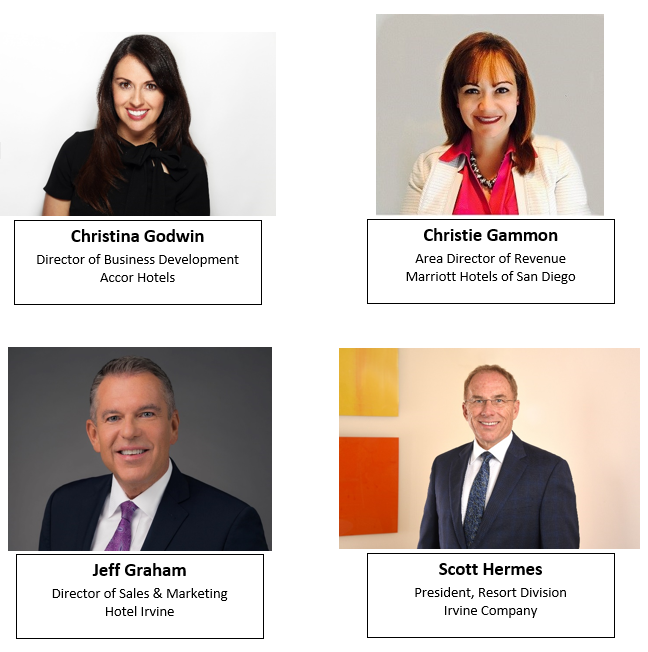 Join SITE SoCal on May 10th at Hotel Irvine to experience a live hotel RevMax and find out in depth answers to these questions! The panel will be reviewing group RFPs provided by the moderator and deciding on group rates, meeting space, food & beverage minimums as well as ‘turn down’ reasons. Come experience how hotel’s review your group RFPs! Please come prepared for Q&A. PLANNERS - WOULD YOU LIKE TO BE HOSTED? Qualified planners may have the opportunity to be hosted by a supplier, as space allows. CLICK HERE to sign-up on our match-me list to let suppliers know you are interested in attending. If you would like to attend on your own, please proceed with registration.